Bergen is without a doubt one of the biggest travel curveballs I have ever thrown into the travel list mix, and it is without a doubt the best one so far. 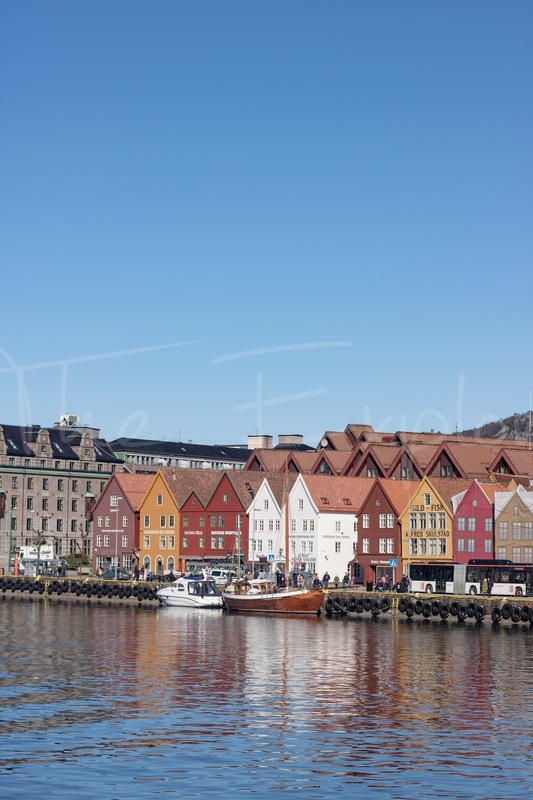 Like all of our Scandinavian neighbours, Norway had been slowly climbing up my travel list for a long while, so when I read an article about Bergen – the country’s second city – I found myself researching the place and swiftly convincing Mr M that we needed to book a trip. It is the best travel decision we have made in a long time. Within a day we were head over heels with the place and by the end of our trip we were already planning our return. It’s fair to say that it is now firmly in my favourite three travel destinations. First and foremost, it is such an easy destination to get to for us Brits. At just 1 hour 45 minutes from London it is a super short flight. If you travel Norwegian Air (and I highly recommend you consider them because our entire experience with them was by far the best we’ve had with any airline – ever) you will get free wifi and access to inflight entertainment. A few episodes of your favourite programme will see you there without you even realising. When you arrive – if you don’t have transfers – getting into the city is an absolute breeze. For £35 for two of us we got return tickets directly from the airport to the heart of the city. As soon as you walk out of arrivals the bus stop is straight in front of you, the bus driver will inform you where you need to get off if you ask and tannoy announcements from the driver tell you when your stop is. In 20 minutes flat you are in the city ready to get exploring. It is just as easy on the way back. Door to door travelling to and from Bergen is hands down the easiest travel experience we have ever had. It was incredibly straightforward and stress free. Oh, and as an added bonus you will get to experience the drive through the world’s longest tunnel on your way into to the city. There’s a bucket list item you didn’t know you had ticked off right there. The best thing about Bergen (and from what I understand, Norway as a country) is the people. Every single person we met was incredibly friendly, welcoming and hospitable – and not in a forced way either. Everyone was happy to help and there was nothing contrived about it. Maybe I’ve been too used to being surrounded by fellow cynical Brits for too long, but the nature of people in Bergen is amazing. Everyone was entirely approachable, it made the entire city feel comfortable to be in. A huge part of the attraction of Bergen for me was the nature element to the city. Famed for its environmental focus, Norway is a country proud of its nature and rightly so – it’s bloody stunning. Bergen gives you the ability to combine city life with nature and really does something to show how the two can live hand in hand. 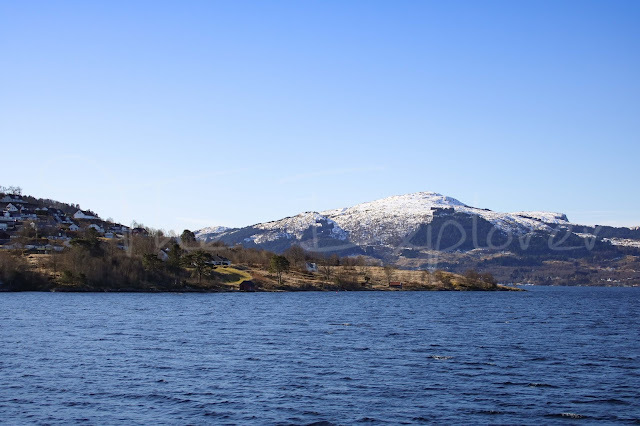 Being nestled in amongst mountains and on the edge of the Fjords certainly helps but the abundance of electric cars and re-usable coffee cups amongst other things, really shows how we can respect the nature we’re surrounded with. Honestly, the way Norway respects the nature that it’s blessed with puts the rest of us to shame and we could really learn a thing or two. A 30 minute hike out of the city (and I don’t mean get to the edge of the city then add half an hour on – I mean from the harbour to the top of the mountain) you will find yourself feeling on top of the world. Unspoilt and entirely, utterly stunning is a natural escape that you will be grateful you hiked for. And if hiking isn’t your thing then hitch a ride on the funicular – 10 minutes and you’ll be at the top without breaking a sweat. 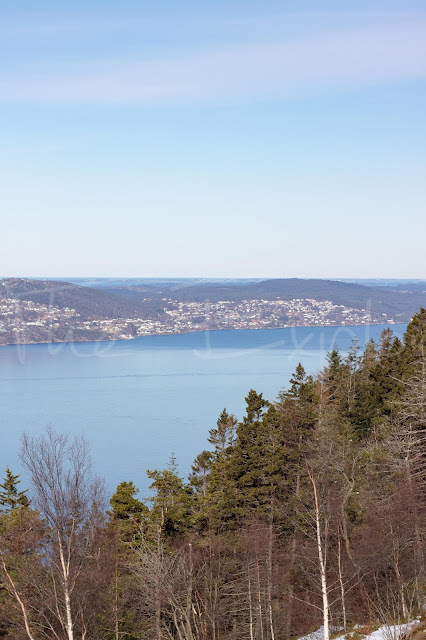 Labelled as the gateway to the Fjords, Bergen sits at the bottom of Byfjorden. 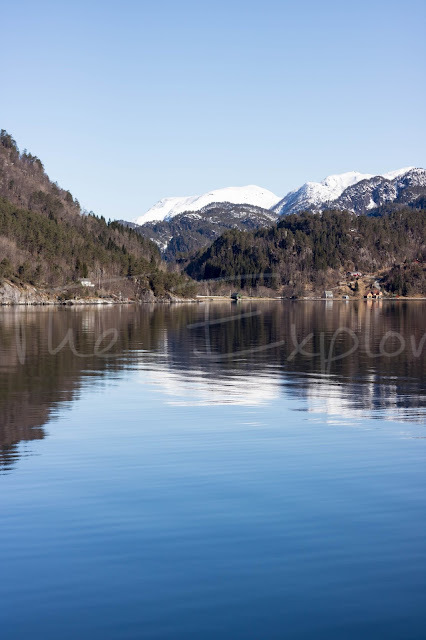 £50pp will buy you a ticket to a three hour Fjord cruise and it will be the best purchase of your trip. Going in March restricted us in terms of the cruises on offer – mainly due to the fact that most don’t run outside of the summer months. 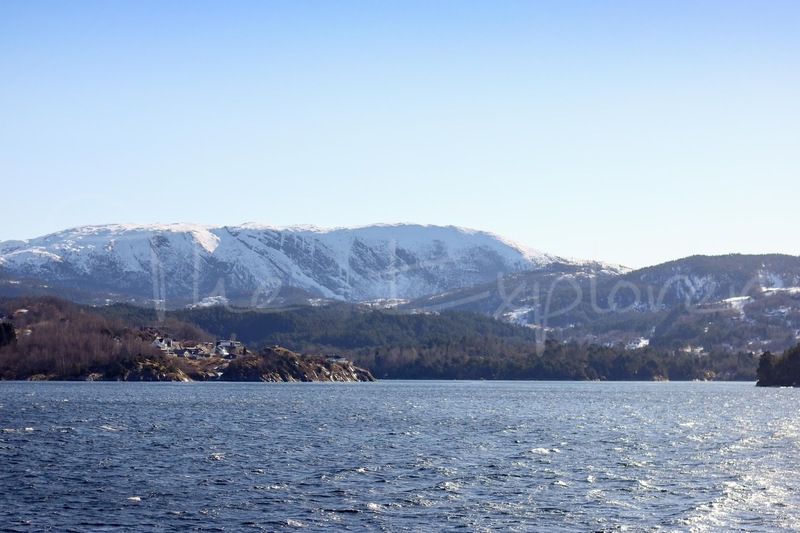 The cruise we went on is on all year round providing the Fjords aren’t frozen over. The reason for the limited cruises is more than apparent when your cruise couldn’t quite make it all the way along the planned route due to ice (we were breaking ice up with the boat at one point) but it was worth every penny and more because the sights were beautiful. Crystal clear, glass like water surrounded by snow-capped mountains is something you absolutely must experience in your life as a traveller. With Bergen being right on the edge of the Fjords it gives you full control over how much you experience them. 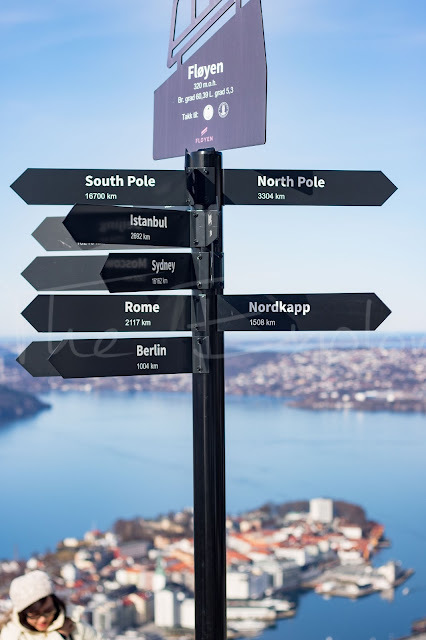 It gives you the option to use the city as your base for overnight cruises or a quick trip just to experience them. We have already decided that we want to go back to experience them more when the weather is warmer and the sea is less frozen. Top tip if you do go: wrap up so warm that you feel like you could melt snow from a 6ft distance. You’re going to want to be on deck and the wind chill is immense. Being in the actual city wasn’t something we had quite thought about before our trip. We didn’t go with any kind of outlined itinerary and assumed that most of our time would be spent exploring the mountains, and while it was there were still times when we were drawn into the city. It didn’t take long for us to realise that the café culture in Bergen is a hidden gem of the city. We hopped from café to café, eating as many pasties as we could and drinking more tea than I thought was possible. Every single one was the perfect hideaway from the chill. The majority of them were fairtrade, organic advocates that didn’t cut any corners. The drinks were served in buckets and the pastries were often the size of your head. Yes, Norway is expensive to eat out in (hello, £28 salad) but in the cafes you will find a brilliant balance between cost, quality and quantity. 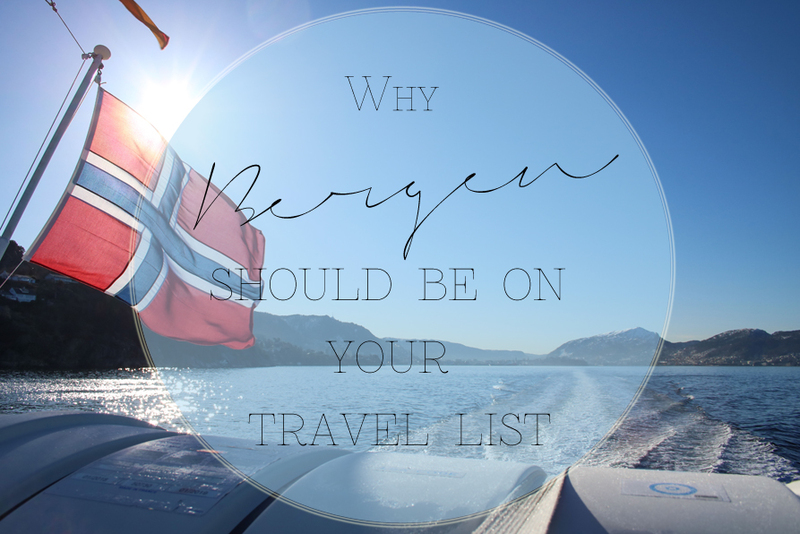 One of Bergen’s top attractions is Byrggen. Hailing back to 1702 this district of the city is still in full working order and is a UNESCO World Heritage site. There are museums a plenty and a good amount of signs full of historical information scattered around the city for you to find. 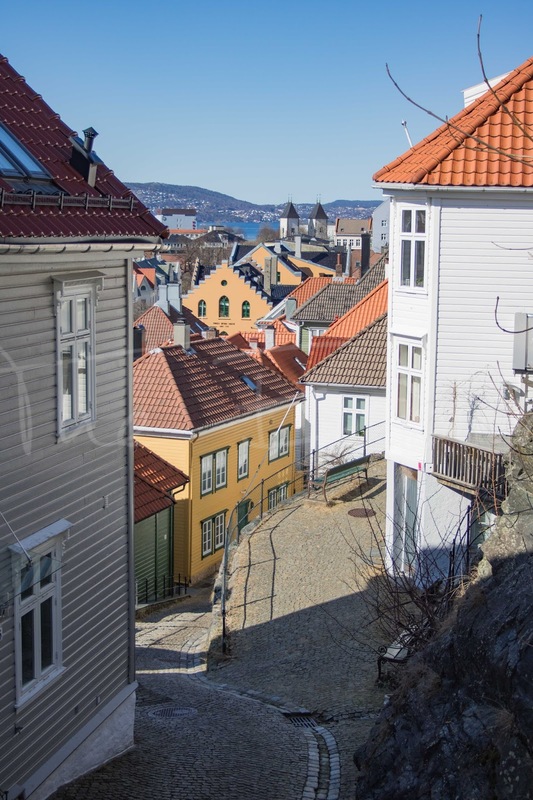 Bergen is rich in history and the city is proud of it. You will walk away from your trip a talking guide book of new found knowledge on the city. I don’t just say this from the perspective of a photography fan, Bergen is one of the most photogenic places I have ever been to. There’s something about a city in mountains that is just so photographable. Whether you’re a shutterbug or not you absolutely must take a camera, partially because you will want to capture your entire trip so you can remember it forever and also partly because you will want to take a little bit of the city home with you. If you’re looking to stay in Bergen then I highly recommend staying in a Thon Hotel. Particularly the Thon Hotel Rosenkratz. If not for the incredibly helpful staff, or the excellent aesthetic of the place then for the breakfast. It is apparently the third best in Norway and I can vouch for every word of that. It is definitely the best hotel breakfast I have ever had.